We can take care of all your after builders cleaning needs in residential and commercial premises. Singhz After Builders Cleaning team provides residential and commercial construction clean up services in Melbourne. If you are looking for After Builders cleaning in Melbourne? Singhz Cleaning has many years of experience in commercial & domestic cleaning. 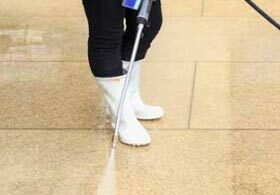 We offer professional building exterior and interior cleaning services. At Singhz we offer a quality detailed after builders cleaning services. We give 100% satisfaction guarantee on removal of your construction waste. It is very difficult to get rid of the mess after home renovation. We understand the nuances that come with the various types of commercial & domestic cleans. Our construction cleaners team come with all the required cleaning equipment. We specialise in a variety of after builders cleaning needs, such as upholstery, carpet and window cleaning. Our after builders cleaners in Melbourne are able to respond quickly to customer demands. Singhz Construction Cleaning Services can save your time, so you can have more time to enjoy your renovations or new house. We provide cheap after builders cleaning services in Melbourne. After builders clean is an important part in the process of new or old residential and commercial construction. Our post construction cleaning service provides a full range of post construction cleaning services in Melbourne. We pride ourselves on being very competitive on price. Want a final construction cleaning service that is specifically tailored to the needs of builders? Our builders cleaners in Melbourne can cater to your cleaning needs. At Singhz After Builders Cleaning we can provide highly experienced team. Our builders cleaners are fully trained for all types of services required in the retail industry. Singhz Builders Cleaning Services also provides customised regular services. We also provide one-off display homes cleaning services in Melbourne. We offer a high quality and affordable after builders clean services in Melbourne. See your property transform from construction site into a finished building. Singhz will provide the equipment and products to deliver a high quality builders cleaning in Melbourne. We perform a full interior clean as well as outside windows and the garage. Singhz clean all light fixtures and disinfect bathrooms, showers and toilets..
Our after builders cleaning will make life easier for any new tenant or business.